The member states of the South-South Cooperation Plan will meet in Buenos Aires from March 20 to 23 to launch a new strategy with a view to implementing the UN Sustainable Development Agenda 2030 within the framework of the Second High-Level Conference of United Nations on South-South Cooperation, PABA +40. 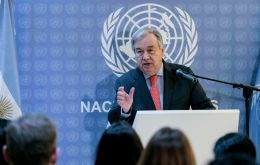 The event will commemorate the 40th anniversary of the approval of the Buenos Aires Action Plan and awaits a renewed political commitment from participating States. Argentina's former president Cristina Kirchner was charged in yet another corruption investigation on Monday, in this case over the fraudulent import of liquid gas. 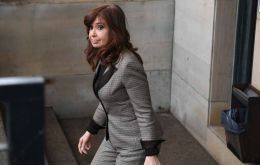 Judge Claudio Bonadio, who Cristina Kirchner accuses of political persecution, requested that the ex-president be placed in pre-trial detention, but her partial immunity as a senator shields her from imprisonment. 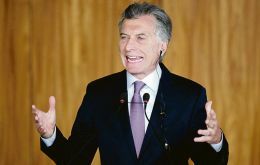 Franco Macri's dealings with the former Kirchnerite governments amount to a crime, Argentine president Mauricio Macri declared on Sunday in a wide-ranging primetime interview that touched on corruption, influence peddling, the October elections, former president Cristina Fernández de Kirchner's legal situation and his recently deceased father, Franco. 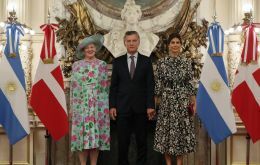 Denmark's Queen Margrethe II and Crown Prince Frederik are spearheading an official state visit to Argentina which started this Monday ahead of a larger business delegation which seeks to make inroads in the country. 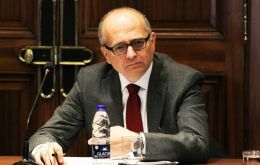 An International Monetary Fund (IMF) mission led by Mr. Roberto Cardarelli visited Argentina during February 11–22, 2019 to conduct discussions on the Third Review of Argentina’s IMF-supported program under the Stand-By Arrangement (SBA). Talks continued in Washington DC after the end of the mission. The Falkland Islands weekly Penguin News reported this week on the death in England of Reginald (Reg) Silvey, one of the perhaps lesser known civilian heroes of the war in 1982, but almost certainly the one whose activities put him most at risk of arrest and possible execution. 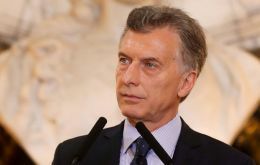 Argentine security officials say that an Iranian couple was arrested in Buenos Aires for travelling on fake Israeli passports. 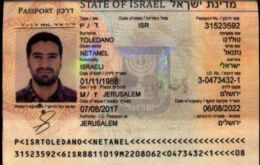 Local reports say a 27-year old man and a 30-year old woman were arrested on March 12, travelling on forged Israeli passports under the fake names of Netanel and Rivka Toledano. The couple travelled from Spain to Argentina. 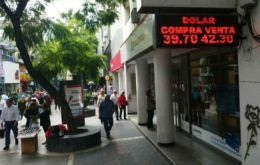 Argentina’s central bank wants to license market makers to help stabilize its embattled peso currency when the Treasury starts newly announced dollar sales in April. The bank hopes the market makers, dealers who agree to buy and sell at set prices, would bolster liquidity in the exchange market to help avoid the sharp gyrations the peso has suffered in recent weeks when it hit a record low of 42.5 pesos per dollar in thin trading. A delegation from China will visit Argentina this month to discuss the construction of a nuclear power plant, signaling possible progress in a deal that could increase Beijing’s deepening influence in Argentina. 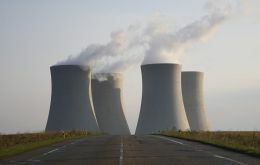 Accordingly, the “technical team” from China would meet local suppliers about the long-stalled nuclear power plant project, reportedly worth up to US$8 billion.